What a year of football we have had. Chelsea and Manchester City lifted silverware in the most remarkable of circumstances, Lionel Messi broke record after record, and Spain continued to dazzle on the international stage. Along the way, certain facts and figures have stood out above the rest – from QPR’s awful away days to the ruthless world of football management. So, from the sublime to the downright ridiculous, Goal.com takes a look at 2012 in numbers. 1 – Swindon Town beat more Premier League clubs away from home in 2012 than QPR. The Rs failed to win in 19 attempts against top-flight sides on the road, while Paolo Di Canio’s side shocked Stoke at the Britannia Stadium in the Capital One Cup. 7 – Luka Modric failed to win a trophy in four years at Tottenham, but it took the Croatian midfielder just seven minutes to win silverware at Real Madrid, coming on as a late substitute in the Supercopa victory over Barcelona. 11 – For the first time in the club’s history, Everton fielded a starting XI without a single Englishman against Leeds United in the Capital One Cup. Former international Phil Neville made an appearance from the bench, though. 46 – Liverpool picked up just 46 points during 2012. That tally would have seen them finish 13th in the Premier League last season – below West Brom, Swansea and Norwich. 57 – Henning Berg took charge of only 10 matches during his 57-day reign at Blackburn Rovers. He won one game in his return to Ewood Park, losing six times and drawing the other three. 76 – Roberto Di Matteo needed just 76 days to win the FA Cup and Champions League after being appointed Chelsea’s caretaker manager on March 4. 94 – However, after being given the job on a permanent basis in the summer, 94 days into the new season Roman Abramovich sacked the Italian. 310 – Tottenham goalkeeper Brad Friedel started 310 Premier League matches in a row before he was replaced by summer signing Hugo Lloris for a match against Aston Villa on October 7. 10,000 – Celebrity Arsenal fan Piers Morgan lost £10,000 in a bet with Samir Nasri when the former Gunners midfielder won the Premier League with Manchester City. 80,000 – Denmark striker Nicklas Bendtner was fined £80,000 for revealing the name and logo of a bookmaker on his underwear while celebrating a goal during Euro 2012. 13 – Just 13 seconds after Manchester United’s 2-0 victory over Sunderland seemingly wrapped up the title, Sergio Aguero scored Manchester City’s winner against QPR. 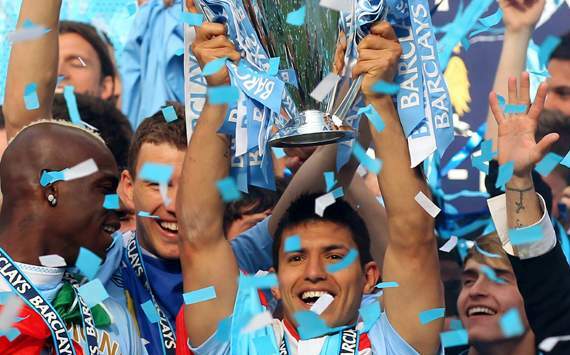 44 – City’s triumph was their first top-flight title success since they, ironically, pipped United to top spot on the final day of the season 44 years previously. 94 – Aguero‘s title-winning goal came in the 94th minute of City’s dramatic 3-2 win over QPR on the last day of the campaign. 8 – United were on course for the title with six matches remaining. They had a commanding lead over City but let it slip by dropping eight points in the run-in. 56 – For the first time in Sir Alex Ferguson’s 26 years at Old Trafford, his side lost the title on goal difference, with United’s +56 only bettered by City’s record of +64. 89 – United’s 89 points is the most a team has gained in the Premier League era without winning the title. 2 – Bradford City have beaten more Premier League teams than QPR in the 2012-13 season. The League Two club knocked out Wigan and Arsenal on penalties in the Capital One Cup, while QPR’s victory over Fulham on December 15 is their only in the top flight this campaign. 3 – He may have had another inconsistent year in front of goal, but Fernando Torres was one of English football’s most decorated players in 2012, winning three major trophies. Along with team-mate Juan Mata, he added to May’s FA Cup and Champions League triumphs by helping Spain win Euro 2012. 7 – It took Emile Heskey just three months to score seven goals for Newcastle Jets after joining the club in October – the same number of goals he scored in his last three seasons at Aston Villa. 26 – Of the 26 matches Darron Gibson featured in for Everton and Republic of Ireland in 2012, he lost just one – a 2-0 defeat to West Brom in September. 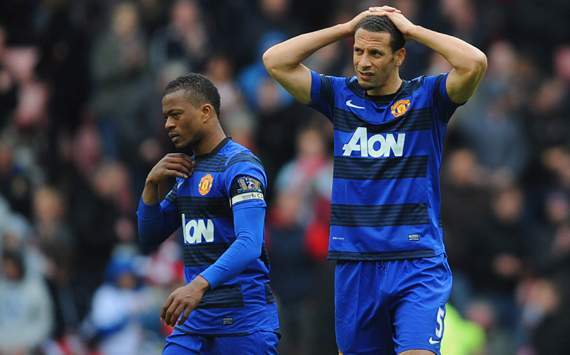 Even then he was substituted after 20 minutes due to injury when the game was still goalless. 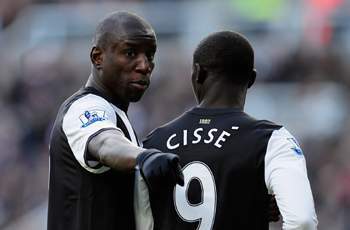 31 – Senegalese strikers Demba Ba and Papiss Cisse scored 31 Premier League goals between them in 2012. Ba has been Newcastle’s star for much of this season but Cisse stole the limelight following his move from Freiburg last January (see right). 51 – Jermain Defoe has been a regular in England squads since 2004 but it was not until his 51st cap – a 1-1 draw with Ukraine in September – that he played a full match for his country. 66 – Chelsea have a 66.6 per cent win record in Premier League matches that Frank Lampard has featured in over the last 12 months, compared to a 21.4% win record when the veteran midfielder has not played (see below). 78 – Fabrice Muamba’s heart stopped for 78 minutes after he suffered a cardiac arrest during an FA Cup tie between Tottenham and Bolton in March. Thankfully he made a full recovery. 90 – Lukas Podolski has featured in 24 matches for Arsenal, including 23 starts, since his summer move from Koln but has completed 90 minutes in just two games. 1100 – The 1100 goals scored in the Premier League during 2012 is the highest in a calendar year since the league’s inception in 1992. 1130 – Former England striker James Beattie ended a goal drought lasting 1130 days by scoring in Accrington Stanley’s 3-1 win over Fleetwood Town in November. He had featured for Stoke, Blackpool, Rangers, Sheffield United and current club Accrington during a run of 54 games without finding the net. 3 – Messi started the year by winning his third consecutive Ballon d’Or award, beating Real Madrid forward Cristiano Ronaldo and Barcelona team-mate Xavi to the prize. 5 – In a 7-1 win over Bayer Leverkusen in March, he became the first person to score five goals in a single Champions League game. Ten players had done so in Europe’s elite club competition in the past but nobody had achieved the feat in the Champions League era. 12 – He often receives critics for not turning up on the international stage, but Messi‘s 12 goals for Argentina in 2012, which included a hat-trick against Brazil, equalled Gabriel Batistuta’s record for goals in a calendar year for his country. 14 – Although he ended the 2011-12 Champions League campaign on a sour note with a missed penalty in the semi-final to Chelsea, Messi‘s 14 goals that season saw him crowned the competition’s top scorer for the fourth year in a row. 50 – The Barcelona star scored 50 goals in the 2011-12 La Liga season, beating Cristiano Ronaldo‘s record of 40 set in the previous campaign. He already has 26 after 17 league games in 2012-13. 63 – The 25-year-old averaged a goal every 63 minutes for club and country in 2012. 91 – Messi beat Gerd Muller’s record of 85 goals in a calendar year by scoring in a 2-1 win over Real Betis, and went on to net a further five to end 2012 on 91. 107 – It emerged after Messi‘s record-breaking feat that former Kabwe Warriors striker Godfrey Chitalu scored 107 goals in 1972. The Zambian FA attempted to ratify the tally but Fifa does not keep official records and refused to get involved. 2018 – Messi celebrated an outstanding personal year by extending his contract at Camp Nou to the summer of 2018. 460,000 – He was said to have turned down a weekly wage of €560,000 after a Russian club reportedly met his €250 million Barcelona release clause. Now you have seen a selection of the best facts and figures from the last 12 months, have you got a better one to share? Leave your suggestions in the comment box below!